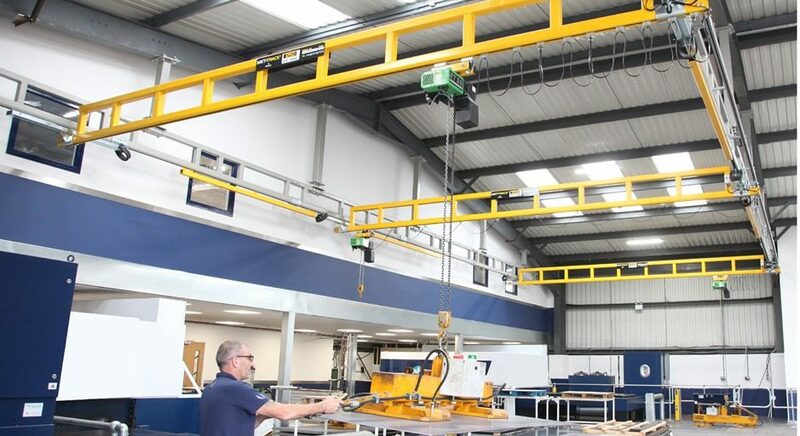 Manufacturer of the original Met-Track Workstation Bridge Cranes, Metreel, offers modular bridge cranes, jibs cranes and overhead monorail systems with lifting capacities up to 2,000kg and bridge lengths up to 10m. The system provides operatives with an effortless and reliable area-serving overhead handling/lifting solution to improve efficiency and increase productivity. They are designed to reduce fatigue and ensure accurate load positioning and modules can be floor- or ceiling-mounted.